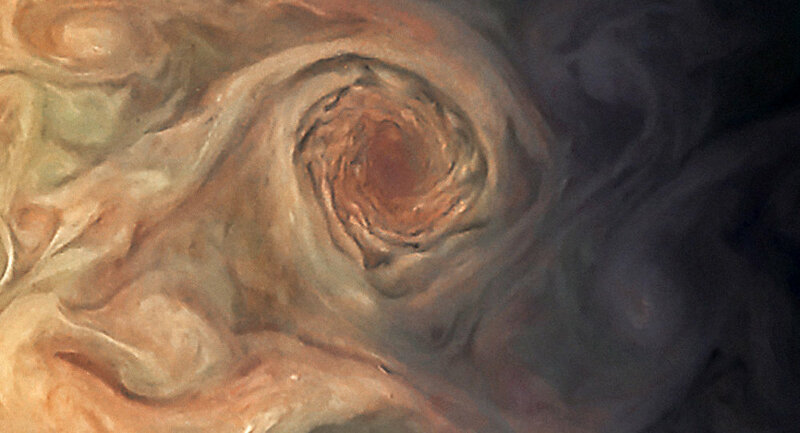 Most people have at least heard of the Great Red Spot, a storm on Jupiter three times the size of Earth itself that has raged for centuries. 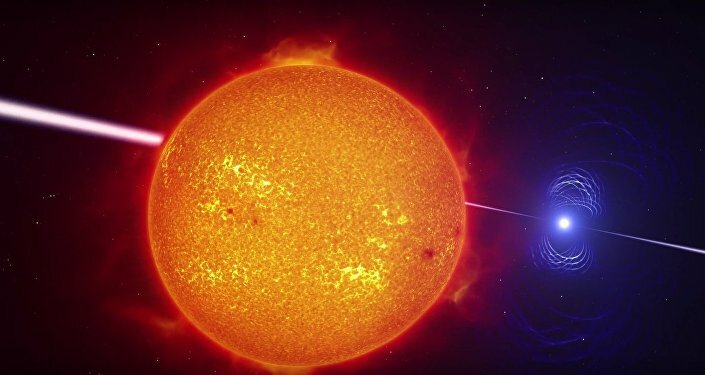 Now, British astronomers have discovered what they’re calling the 'Great Cold Spot,' a weather system estimated to be over 110 million square miles in area. While not nearly as large as its twin, the Great Cold Spot is much larger than the entirety of Earth's land (about 57.5 million square miles in area). It's twice the size of Mars and four times the size of Mercury. The Great Cold Spot was observed through the use of the Cryogenic High-Resolution IR Echelle Spectrograph (CRIRES), a powerful imager attached to the European Southern Observatory's Very Large Telescope (VLT) in Chile. Unlike the Great Red Spot, the Great Cold Spot is located far above the planet's surface in Jupiter's thermosphere. As its name suggests, it's much colder than the surrounding atmosphere, to the tune of 200 Kelvin (360 degrees Fahrenheit). "This is the first time any weather feature in Jupiter's upper atmosphere has been observed away from the planet's bright aurorae," said study lead Tom Stallard, an associate professor of planetary astronomy at the University of Leicester, in a Tuesday statement. "The Great Cold Spot is much more volatile than the slowly changing Great Red Spot, changing dramatically in shape and size over only a few days and weeks, but it has re-appeared for as long as we have data to search for it, for over 15 years. That suggests that it continually reforms itself, and as a result it might be as old as the aurorae that form it – perhaps many thousands of years old." When solar wind strikes a planet's magnetosphere, it can excite the magnetic particles. This energy then interacts with gas particles and causes bright colors to appear in the sky, a phenomenon known as aurorae. The aurora borealis at Earth's North Pole is probably the most well-known instance of the phenomenon. But aurorae can occur on any planet, provided it orbits a star and has a magnetosphere. Jupiter has the most powerful magnetosphere in our solar system, at least 10 times as powerful as Earth's. This allows for spectacular aurorae to occur – they're just usually hidden from human view because of how dense and gaseous Jupiter's atmosphere is. Stallard's team believes that the aurorae are creating the Great Cold Spot as a side effect. When particles in the gas giant's magnetosphere are excited, they begin to move faster. Jupiter's spin (the fastest in the solar system, about 28 times as fast as Earth) sends the energized particles rocketing towards the poles and out of the thermosphere. This creates a cold, empty pocket, and thus the Great Cold Spot. "Observations and modelling of Earth's upper atmosphere have shown that, on the short term, there may be changes in the temperature and density of the upper atmosphere," Stallard said. "The two main differences are firstly that Earth's aurora sees dramatic changes caused by activity from the sun, whereas Jupiter's aurora are dominated by gases from the volcanic moon Io, which are relatively slow and steady, and secondly that the atmospheric flows generated by Earth's aurora can drive heat quickly across the whole planet, making the upper atmosphere ring like a bell, while Jupiter's fast spin traps this energy nearer the poles."